FAQ's | How Do I Replace a Foresight Bead? 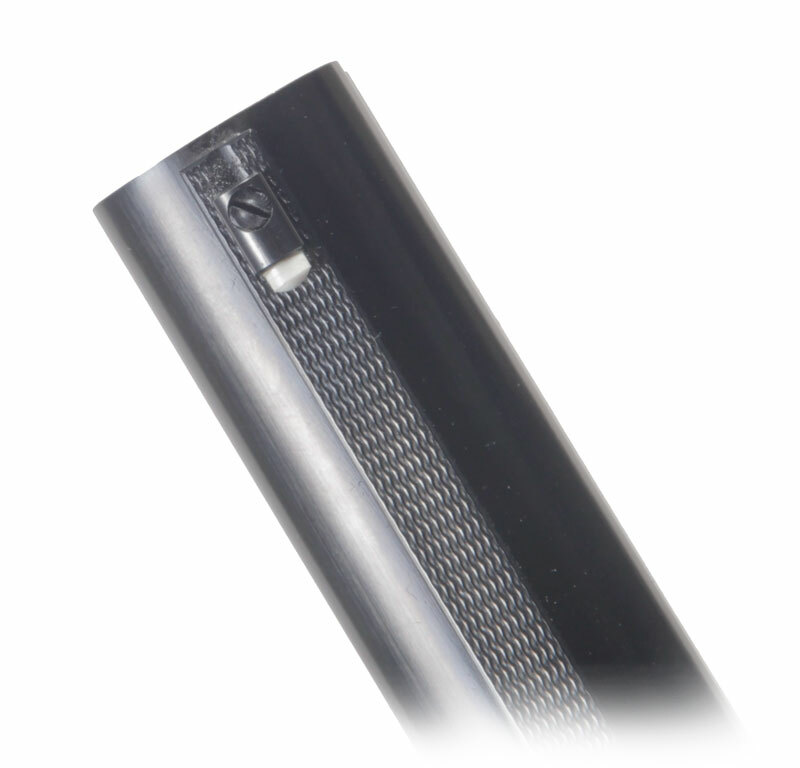 The K-80 foresight bead is a three-part component consisting of a threaded post that screws into the rib on top of which sits the round barrel that carries a white insert. On choke tube guns the threaded hole for the sight stud goes right through into the choke recess. The first step is to remove the choke tube as otherwise there is a risk of the stud locking it into the recess permanently. Screw in the new sight until it is sitting flush down on the rib. If it is not facing perfectly backwards then it needs to be tightened until it is. Please note that you should not tighten this more than 1/8 of a turn as more than this will stretch the thread or even break it off. If the bead requires more than 1/8 of a turn you need to remove it and cut underneath the circular barrel with a file. This is easier if you can remove the stud but if not you just have to work around it with a small file. the greatest difficulty is holding it whilst you file. Removing material from the underside allows the sight to turn more before it jams on the rib. Be careful not to remove so much that it now turns past the correct position. If this happens then you have to resort to Loctite. Once the bead is facing correctly and is secure in position, you must remove any surplus stud protruding into the choke recess. If this is a lot you will find it easier to shorten the stud before screwing into place. It is very important that this stud is filed and polished to be perfectly flush with the chamber recess wall. You can try a choke tube into the recess and if it slides easily in then it should be fine. The white insert is held in place with nothing more complicated than Super Glue and so is easily replaced should it be lost. We can supply a new insert if required.